Register Log In ECN Forum Forums Electrical Theory and Applications Floating Ground - device being tested or scope? I have acquired an old oscilloscope plus some other equipment for the sake of getting more involved in learning about electronics. While setting up my home test bench I have been reading online and asking those who work with Oscilloscopes about the proper way to set-up the equipment. When it comes to using an Oscilloscope it appears that while many people may "float the ground" by removing the ground prong or other means it seems that is not the approved manner in which to use it. Most of the feedback I've got from various sources is that the device being tested should be powered through an isolation transformer and the scope should have an earth ground. Apparently the reverse will work, but for reasons I haven't figured out that is not the norm. 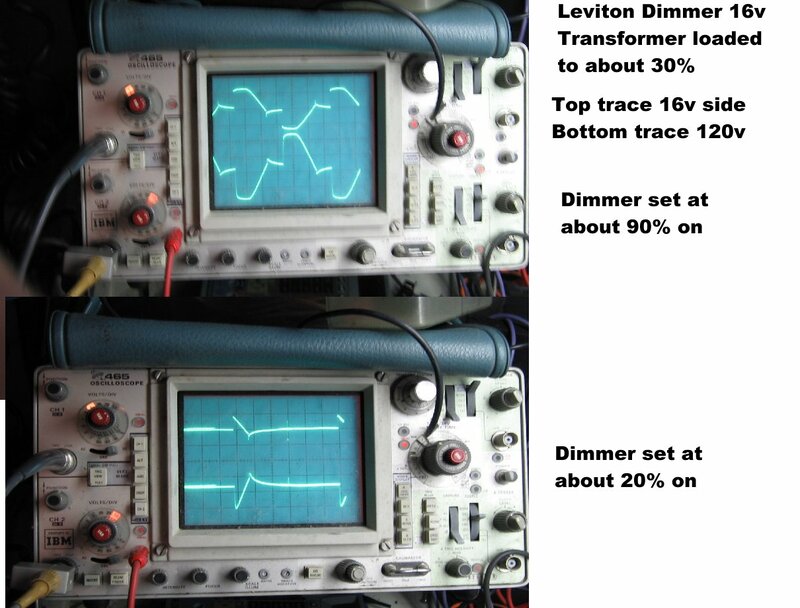 Any Oscilloscope users here care to share their own preference as to how the set-up their equipment? Last edited by Potseal; 01/14/15 01:15 AM. The best case is when you can connect the scope normally. Floating the scope is certainly the last thing you want to do. You are potentially putting line voltage on the case of the scope and bad things can start happening very quickly, up to and including death. Generally speaking, I will look at the wiring diagram and decide where the grounded conductor is and ground the scope there if I absolutely need to but for most things, the small amount of ripple you see if you do not ground the scope to the circuit under test will not affect your measurement. It is still tied to the ground via the plug. If you need to null out the voltage drop on the neutral, hook channel 2 to the neutral, set it to invert and add, then probe with channel 1. If you are looking at something on the load side of a transformer (not autotransformer) you should be able to ground the scope normally. You can ground the scope to the circuit through a light bulb if you are not sure what you are dealing with, voltage wise. If it lights, you are going to have to reconsider what you are doing. Be sure you have the right probes and ground clips if you are looking at line voltage. It is really not something I like to do unless I have to. It is best to learn your scope technique with a transformer isolated circuit, preferably at low voltages, like a doorbell transformer or a wall wart. When I was playing around with dimmers, I found out the scope pictures on the load side of a doorbell transformer was virtually identical to the line side. Thanks for the information Greg. I think the bottom line is you don't float scopes. In 40 years of working with scopes, I have never had the need or the desire. What kind of scope do you have? What are you going to be looking at? Just got home from son's soccer game. I will get some photos and a good description of the scope posted tomorrow evening. As for what I will be looking at? Anything I can get my hands on that isn't too sophisticated and can help with the learning curve. I've been saving all kinds of stuff from the scrap metal/recycle bins at work. For example, I brought home an old yet in great condition SCR Variable Speed Drive (old and rare enough not even Google can find it) which I plan on using as a DC power supply and a Variac which I will use as an AC power supply when building circuits on a Protoboard. My only background in electronics was the classes I took in Electrical Apprentice school. BTW the scopes we used in the school lab were powered by an isolated power supply (just confirmed that the other day). That fact is why I've been asking about the proper way to set-up my scope since it's contrary to what you and most everyone else I talk to is telling me. I would just leave it grounded through the plug and not even bother to try to ground the scope to the circuit under test. On grounded line voltage circuits, there is already a ground reference via the neutral. Just be sure you have leads rated for the voltage you are probing. I've had to lift the scope ground in the past when working on TVs with a hot chassis. I did this knowing that I would be in for a jolt if I touched the scope case and Earth at the same time. I would always prefer to plug the TV into the isolation transformer and leave the scope grounded. Anytime your DUT has a polarized cord and feeds directly into a bridge rectifier, you're most likely dealing with a hot chassis and use caution to avoid tingles and arc welding. And if I didn't ground the scope to the ckt, the line noise would usually swamp any signal I was trying to scope, PLUS I was forced to AC couple and that's not always a good thing. That looks like it will get the job done. I doubt you will be looking for delayed sweep or any of those other advanced things for the kind of things you will be looking at. Haven't even plugged it in yet. Purchased it for $70 with some accessories. Looks like it needs to be cleaned first.